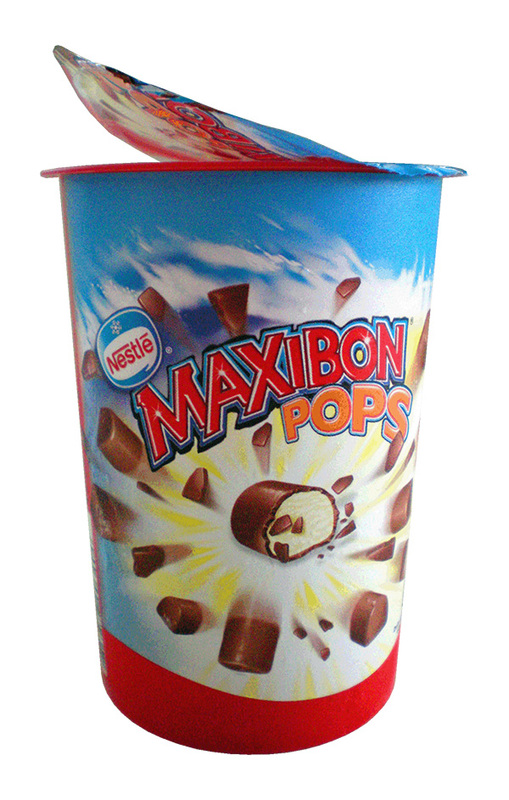 The company has modified its praline ice cream packaging for its box of 18 Maxibon Pops by replacing the previous closure system, consisting of a polypropylene cover, with a practical system for easy opening (PET-LDPE composite), reducing the overall weight. The weight of the polypropylene container for the dessert was also reduced by approximately 18%. The intervention resulted in overall savings in raw materials of 18%. As of 2009, Nestlé Italiana SpA has employed an Environmental Management System certified to UNI EN ISO 14001 standards. Improvement in environmental parameters was due primarily to the reduction in packaging bulk, in particular thanks to the new closure system.